Here I tried to show the swell against fixed objects. 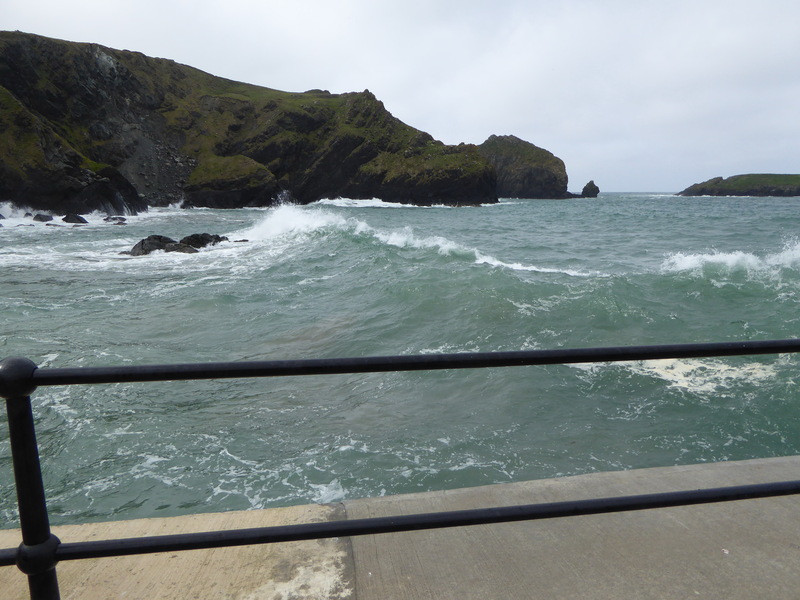 Given the storms that pass through here, this is a slight swell. 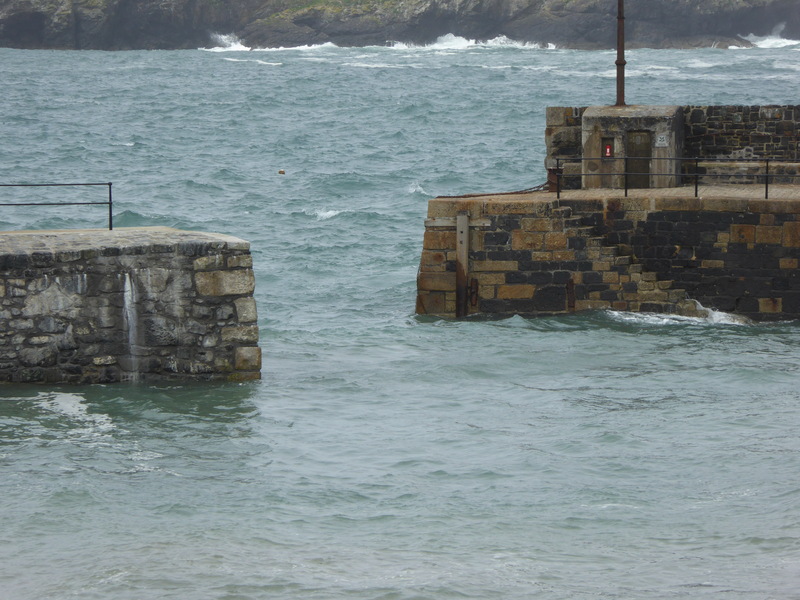 Firstly the entrance to the small harbour with the storm battered piers, the left hand one recently repaired. 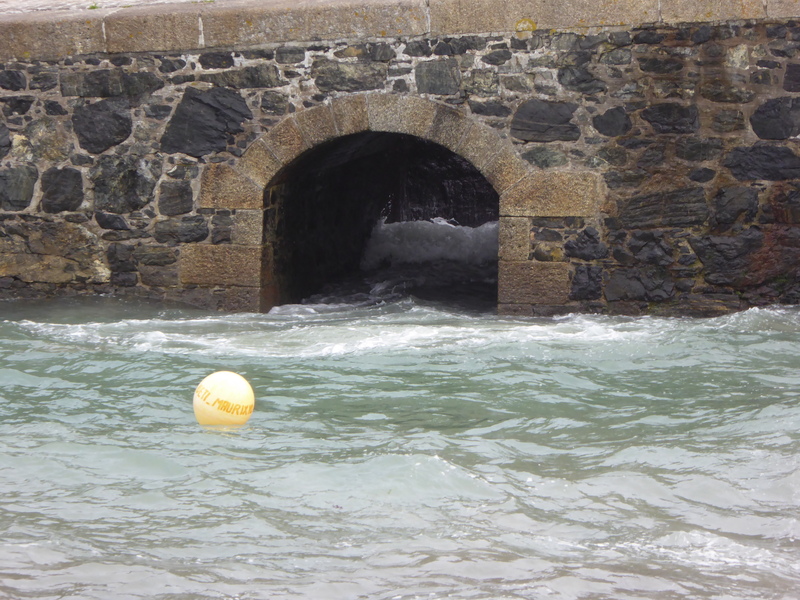 The swell runs round the outside pier . . .
. . . into the harbour and on into this magnificent culvert. 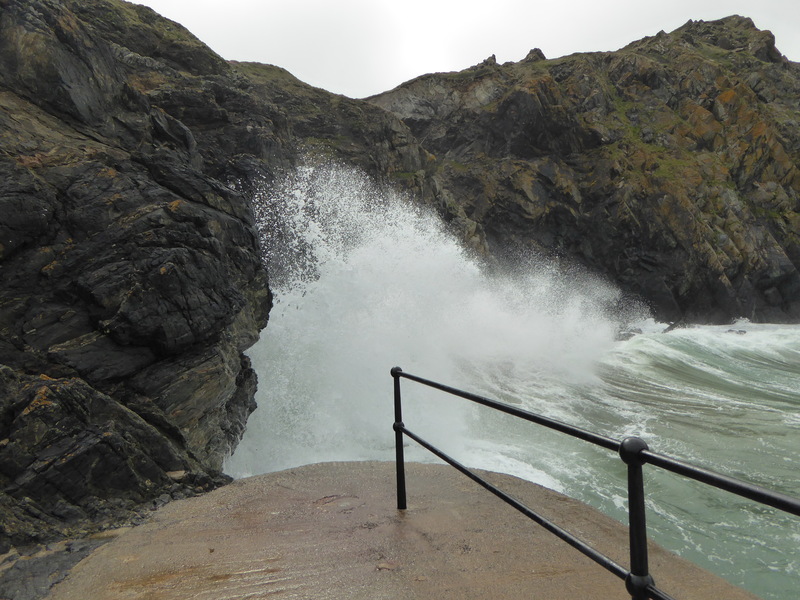 Of course what you think as gentle swell isn’t gentle if you get too close to it. 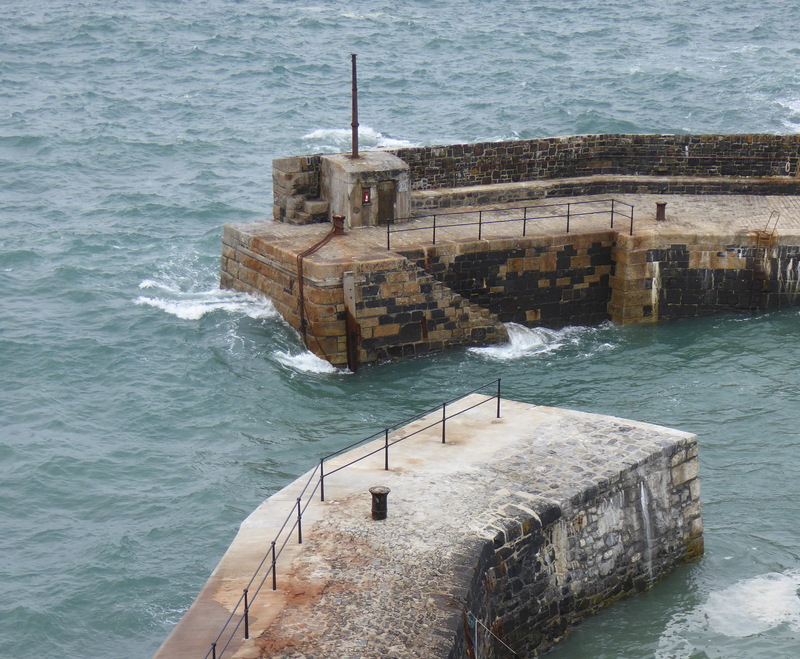 Even though we were standing on a dry part of the pier, the warning in this video clip is spot on.